I had to do a post about this bag because it’s just SO adorable, (There’s a little pineapple on it, eek!). 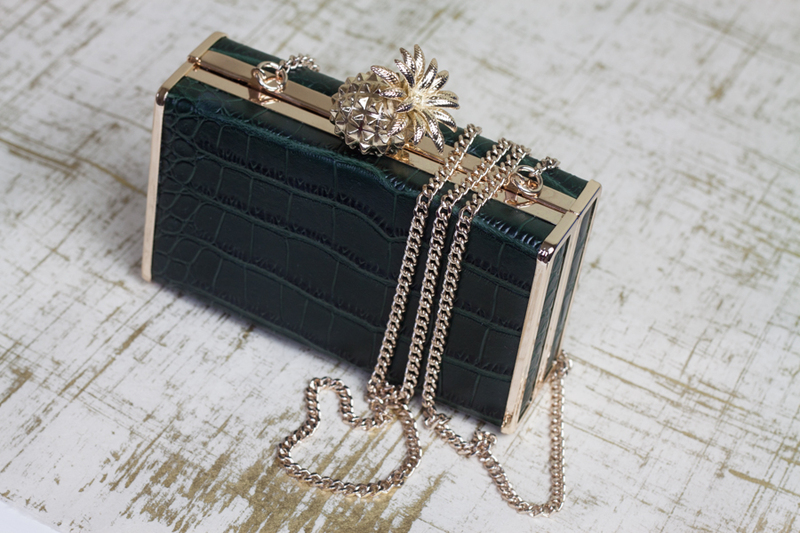 Emerald green anything is chic but this bag has the best of both, it’s sophisticated but it’s also tongue in cheek. I love the Copacabana vibes. Bags are just the easiest way to just inject an outfit with a point of difference, especially if like me the majority of your wardrobe is black. I have been trying to cull my clothes right down to the best basics and must have items, ‘minimal living’ and all that. So I guess I need a few interesting accessories to mix it up, or at least thats how I’m justifying purchases anyway. Next Post I let me boyfriend dress me for a week and this is what happened.